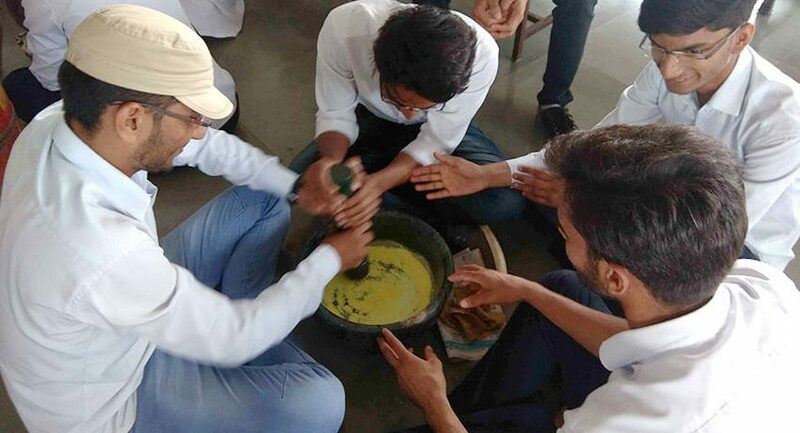 The department trains the students about the Rasa Shastra evum Bhaishajya Kalpana i.e. 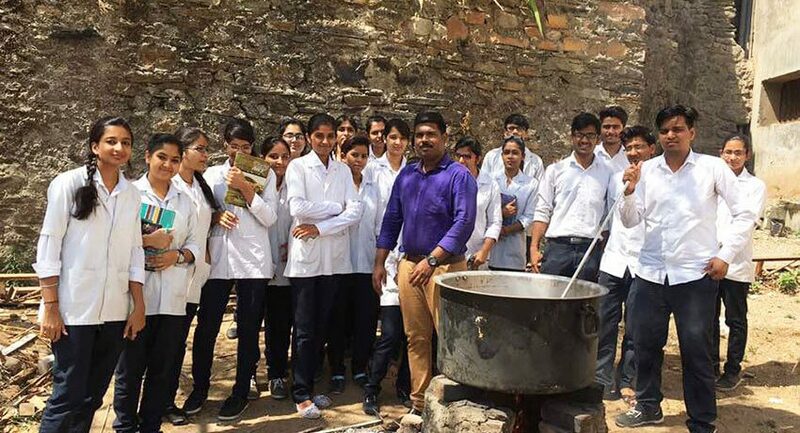 Ayurveda Pharmaceutical Sciences in second professional year. 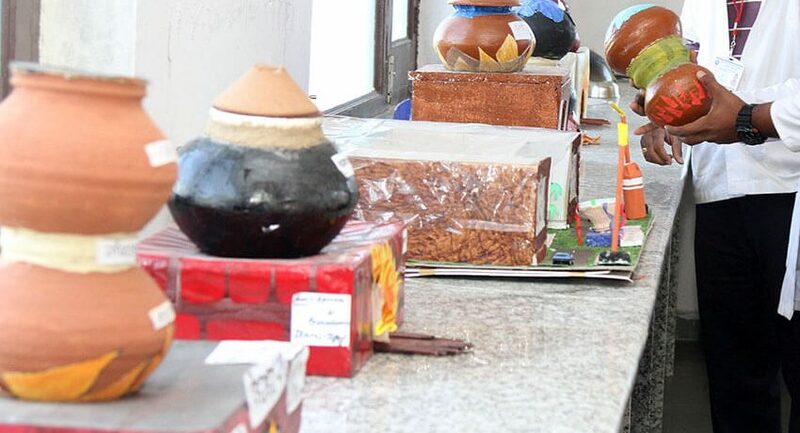 Department deals with identification, collection, selection of herbs and minerals and preparation of various dosage forms like Avleha, Arishta, Asava powders and tablets. 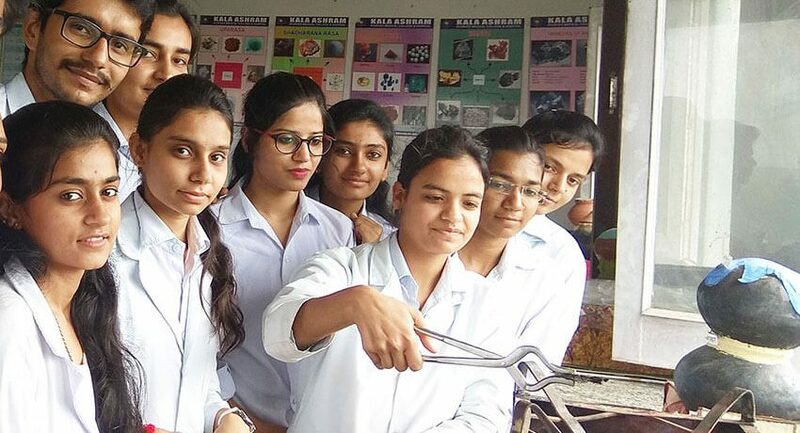 The department is fully equipped with various equipments, instruments, models, charts, specimens etc. 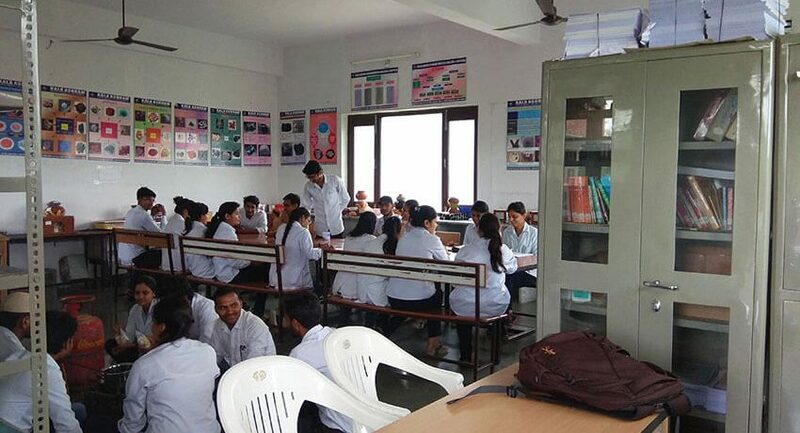 All essential practical are carried out in this UG laboratory. Laboratory is fully reached with geologically identified specimens. 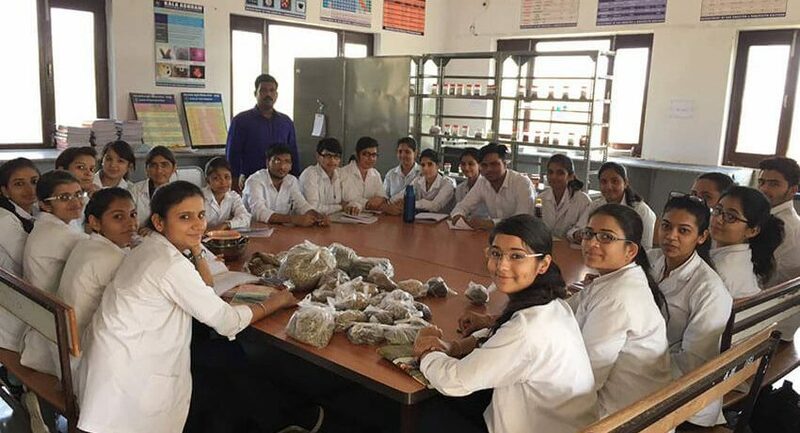 Department having own teaching pharmacy, where students learn and prepare various types of Ayurvedic medicines such as churna, vati, guggulu, asava-arishta, sneha kalp, kshar and lavana, lauh, avaleha, kupipakva rasayana. 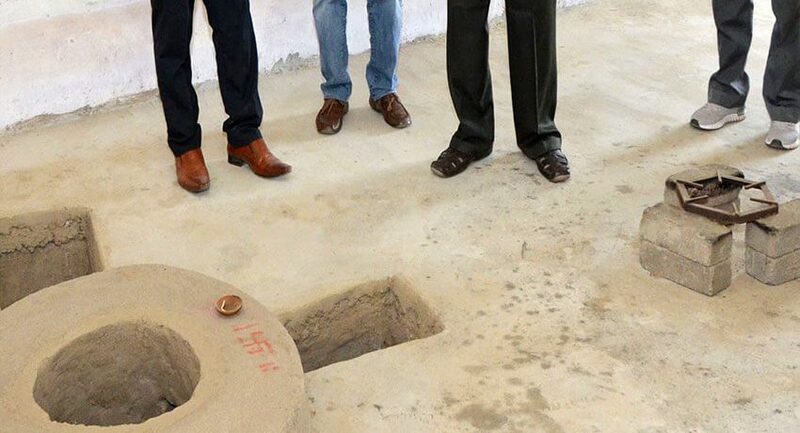 Quality testing laboratory provides various modern analytical instruments and all research practical are performed here. The physio-chemical tests of the medicines prepared in our pharmacy are done in the research laboratory for the purpose of quality control. 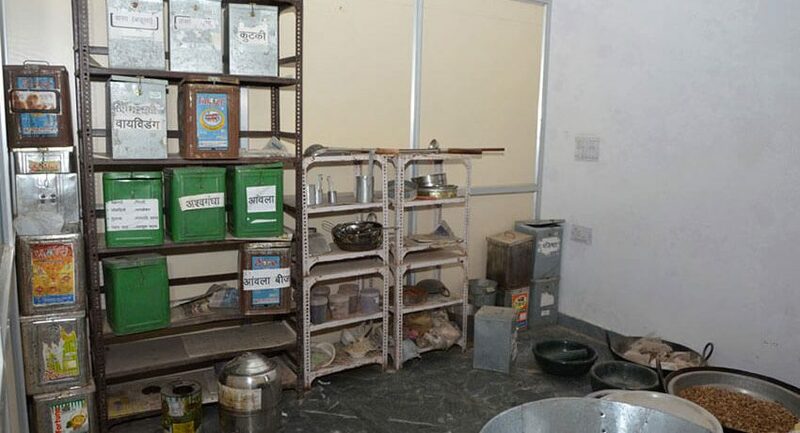 Raw drug store contains many raw drug materials. 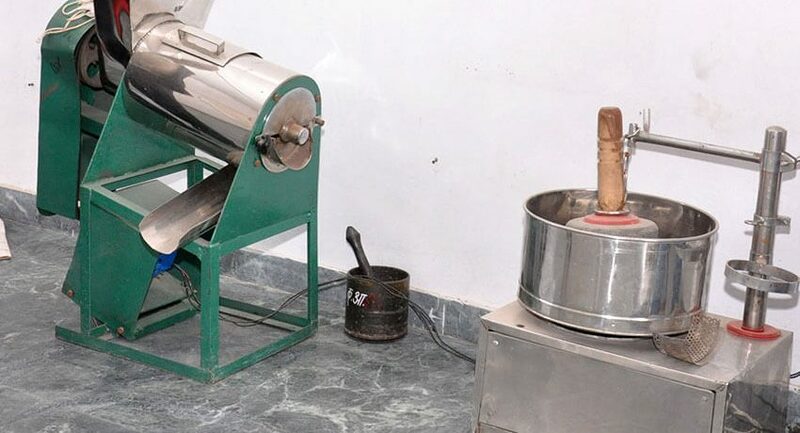 Yantras (Khalva, Dola, Valuka, Pithara, Bhudhara, Arka, Ulukhala), Putas, Blower, Kupipakva Bhatti, Mixer, Grinder, Balances, Heating Devices, Vessels, Containers and other miscellaneous equipments and instruments are available in this laboratory. 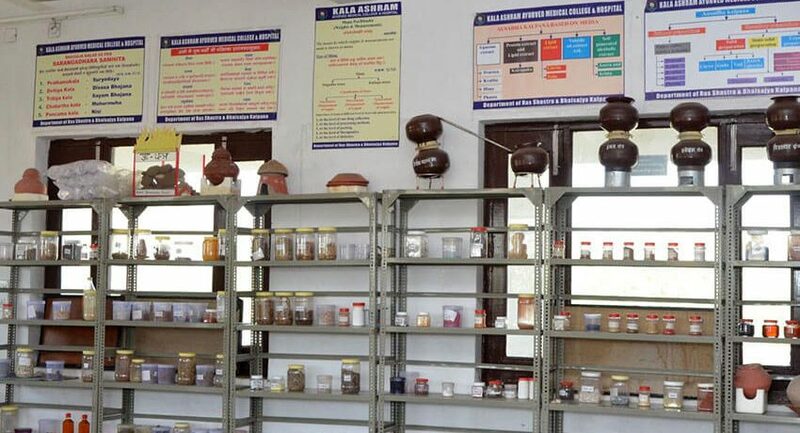 Fully equipped Rasa Shastra Laboratory and well designed Museum with charts, yantras, specimens, instruments etc. 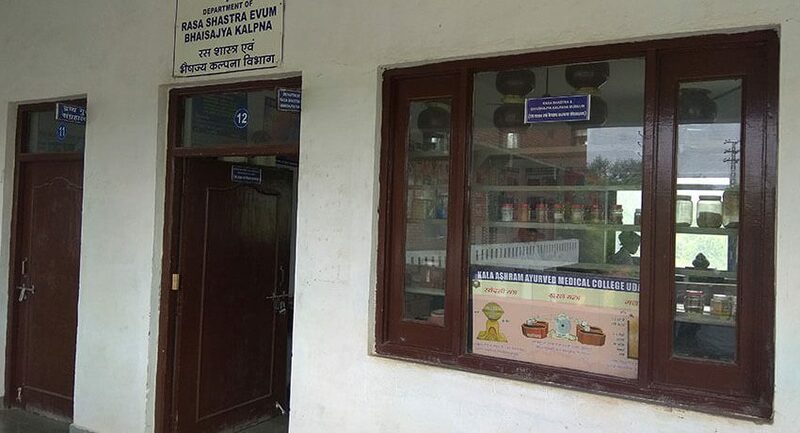 Rasa Shastra evum Bhaishajya Kalpana is one of the most important branch of Ayurveda, in which students learn and deals etymology, history, importance, concept of various drugs, identification, description, application of yantra, putas, brief introduction of quality control, standardization and GMP, occurrence, synonyms, mineralogical identification, sources, types, grahya and agrahyata, shodhana, marana and other processing techniques, management, importance and formulations of various Rasa, knowledge of posology, history, principle, development, and precaution of Bhaishajya Kalpana, knowledge of drugs and cosmetic act 1940 and rules 1945.